Nick Wilde and Judy Hopps from Disney’s upcoming film, Zootopia, will be dancing along with guests in the Move It, Shake It, Dance & Play It Street Party this spring. No official date has been given. 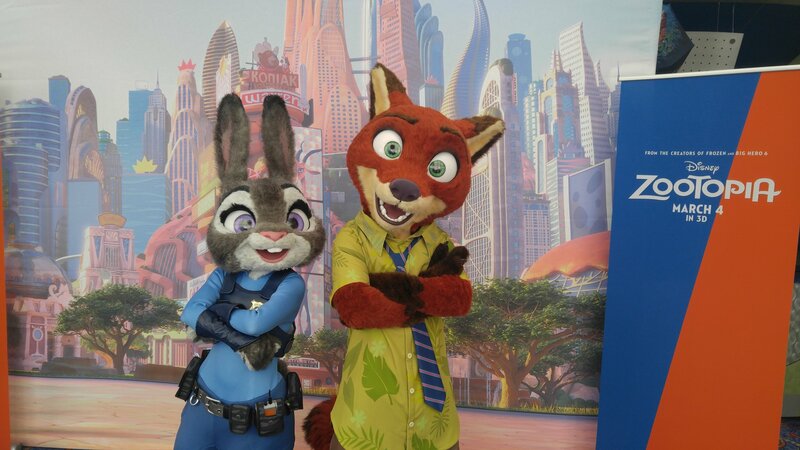 While not a proper Meet & Greet, I’m sure they’ll be a hit with guests looking to meet the rookie Police Officer and smooth talking con-artist after seeing Zootopia, in theaters March 4th. Here’s a look at the characters from the Disney Parks Blog pre-screening.